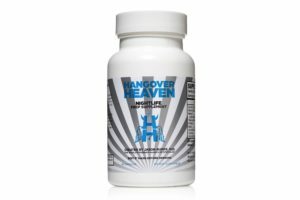 As you can see in the reviews section, I’ve been on a product review binge, testing out all of the different hangover cure products and writing up comprehensive reviews for the viewing pleasure of all the hangovercure.org readers! Today, I’m bringing you a comprehensive review for a product called RU-21, a pretty well known and old school hangover cure that I’m excited about because I’ve heard so much about it. What The “Chto za huy” is RU-21? 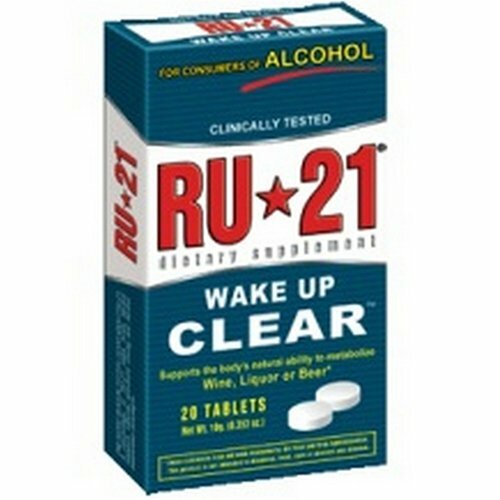 “Wake up clear” is the tagline for RU-21, which sums up this supplement pill pretty well. RU-21, in short, helps the body eliminate alcohol-related toxins that affect important body functions and the way you feel in the morning. The long version, straight from the RU-21 product description: RU-21 supports the body’s natural ability to metabolise alcoholic beverages. When taken with alcohol, the natural ingredients in RU-21 support alcohol metabolism by slowing down the process of ethanol oxidation into toxic byproducts which occur with alcohol consumption. RU-21 aids the body’s digestive system by supporting the decomposition of alcohol’s digestive byproducts into acetic acid, water and carbon dioxide. Invented by the Russian KGB? A little bit of digging on wikipedia bought up some interesting information about RU-21 and its origins: RU-21 is the commercial name of a tablet called Antipokhmelin, a Russian tablet that allegedly helps overcome the negative effects of alcohol consumption and hangovers. The main ingredient in Antipokhmelin is succinic acid, also found in amber. RU-21 was developed by Professor Eugene Mayevski, at the Institute of Theoretical and Experimental Biophysics (division of the Russian Academy of Sciences), where the product was also clinically tested. Further tests were conducted at the Russian Ministry of Public Health. The tests apparently confirmed the effects of RU-21 on the body’s ability to metabolise alcohol. The myth continues that RU-21 was secretly developed for the military and KGB personnel in the former USSR. 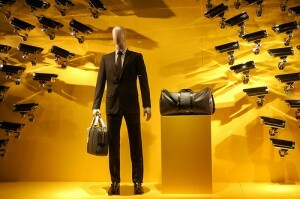 It was meant to allow agents to drink as much alcohol as they wanted, without getting drunk. Hollywood stars are said to be huge fans of RU-21, as it enables them to stay out late on the party circuit with no visible signs of the night before to show up in celebrity magazine & websites the next day. Launched in 2003 with steady sales ever since, RU-21 sounds like it has a lot of good things going for it, but what’s inside these magic pills? Vitamin C: Vitamin C activates anti-oxidant systems of the central nervous system, liver and hormone-active tissues and supports the adrenal gland cortex, which produces anti-stress hormones. Succinic and Fumaric Acids: Succinic and Fumaric acids are substrates which are crucial to alcohol metabolism, and important in the Krebs cycle. Succinic and Fumaric acids boost the aerobic oxidation process in mitochondria by activating the second half-cycle of tricarboxylic acids. Succinic substrate, which is independent of NADH-dehydrogenase, prevents the toxic byproducts of ethanol metabolism from causing hypoxia, which often results from the accumulation of suboxidized metabolites, and from impeding NADH oxidation in the respiratory chain of cells. L-Glutamic Acid HCL: L-Glutamic Acid HCL speeds up the mitochondria-cytosolic malate-aspartate shuttle, which plays a key role in the course of toxic byproduct development. It also speeds up the succinate oxidation process (by preventing oxalic and acetic inhibition of succinate dehydrogenase). In addition, it transforms itself into a-ketoglutarate during a rapid oxidation in the Krebs cycle. The proper concentration of L-Glutamic Acid HCL positively influences glutamate and GAMC synapses in the brain, improving coordination and inhibition processes. Vitamin B2: Vitamin B2 is essential for the metabolism of carbohydrates (to produce energy) and amino acids. It also helps keep mucous membranes (such as those lining the mouth) healthy. Riboflavin is further needed to activate vitamin B6 (pyridoxine), helps to create niacin and assists the adrenal gland. L-cysteine: L-cysteine is an important amino acid that supports numerous functions in your body. Persons with compromised immune function (the young, the elderly and people exposed to pollutants) can benefit from L-cysteine supplementation due to its immuno-protective and antioxidative effects. L-cysteine can enhance immune system function and maintain optimal health. L-cysteine supplementation may be most effective when used in conjunction with vitamin E, vitamin C, vitamin B6 and calcium and selenium. 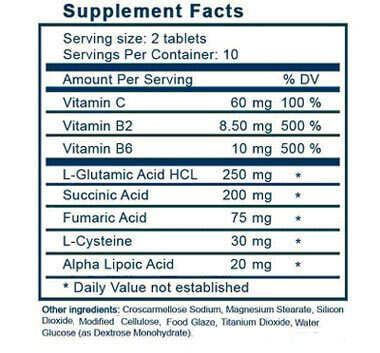 Alpha Lipoic Acid: Alpha Lipoic Acid serves as a coenzyme in the Krebs cycle and in the production of cellular energy. It neutralises free radicals in both the fatty and watery regions of cells. Alpha-Lipoic Acid also plays an important role in the synergism of antioxidants. It directly recycles and extends the metabolic lifespans of vitamin C, glutathione, and coenzyme Q10, and it indirectly renews vitamin E.
Alpha Lipoic Acid is widely used as a therapeutic agent in a number of conditions in which oxidative damage has been implicated. Dextrose / Glucose: Dextrose slows down the ethanol oxidation process into the toxic byproducts of ethanol. Dextrose rapidly oxidizes in cytosol of liver cells, and uses the same cytosol NAD pool used by ethanol to convert into the toxic byproducts, thus creating a deficit of cytosol NAD needed for the reaction and slowing the conversion process. Croscamellose Sodium: a commonly used ‘matrix’ to deliver drugs/supplements to the intestines. Magnesium Stearate: composed of magnesium, stearic acid and often palmitic acid. Acts as a lubricant in supplement products to prevent tablet and capsule contents from sticking to the machinery that processes them. Silicon Dioxide (SiO2): additive commonly used in supplements to prevent ingredients from sticking together. Modified Cellulose: ensures uniform texture, and consistency of the supplements’s qualities at many different temperatures and pH levels. Water Glucose (as Dextrose Monohydrate): another name for glucose, a simple sugar prevalent in your bloodstream. In addition, RU-21 contains NO wheat, yeast, binders, preservatives, granulators or disintegrators. As they state on their website: RU-21 is a dietary supplement and all ingredients are considered GRAS (Generally Regarded As Safe) by the USFDA (US Food and Drug Administration). How Do You Take RU-21? The creators recommend that you take two RU-21 hangover pills before your first alcoholic drink, and two pills after your last drink. The Meat & Potatoes (or Fish & Kefir); does RU-21 work? 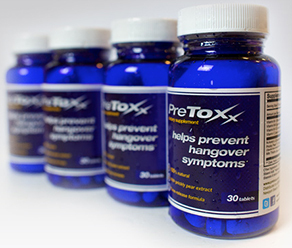 If you’ve read my other hangover cure reviews, like the PreToxx & BlowFish Reviews, then you know how this works: I detail the test environment (yeah, I’m using scientific terms, this basically means ‘I tell you what I drank to get wasted enough to test the product‘) and then I tell you what happens after I test the product following the drinking. I started drinking around 7:30pm on a Thursday evening (the unofficial student night in my home city Hull) with two glasses of wine. I then upgraded to some strong rum and cherry cokes after that, still in ‘pre-gaming’ mode. I finished 3 of those and then decided to head out for the night. Got to the bar and drank beers steadily throughout the night, along with 2 shots of tequila that were forced on me by friends. Overall, I’d guess that I had 6 beers in total, all Coronas. Pretty drunk at this point, I headed home and bought a small portion of chips on the way (you know how it goes). Overall I think I created a pretty solid test environment, drinking a vast range of alcohol types and getting nicely drunk. I took two RU-21 pills at the beginning of the night, three after 3 hours or so of drinking and then another three before I went to bed. 8 tablets in total. The tablets are coated and the size of a pea, so they go down easily. Upon waking up, i realised that i did not have the pounding headache that i usually get after drinking. There was a slight mental fog, the same as I’d get if I’d only had 4 hours sleep on a regular night, but it was not too bothersome. My stomach felt a little unsettled, but definitely better then normal. I can wake up on a regular day with a seriously dry mouth, but I didn’t on this particular morning. I don’t think this is due to the supplement, more to the copious amounts of water I had drank before sleeping along with taking the pills. Energy-wise, I felt pretty tired in the morning after taking RU-21. The producers of the product make no claims about energy however, so I wasn’t expecting to be solving equations 10 minutes after waking up. Did I Turn Into A KGB Agent? I don’t know about you, but reading all this ‘developed for soviet Russia KGB agents’ stuff about Antipokhmelin and RU-21, I half-expected to be driving around in old school Porsche’s with a pistol under my Armani suit and a Russian model in the seat next to me after popping a few of these hangover cure pills. …I was wrong, none of that happened. None of it! I did, however, have vastly reduced after-effects following a pretty big night of drinking. So while I have not renamed myself James ‘Bond’ Petra, I can get a decent day of work and productivity without worrying about a full blown hangover thanks to RU-21. The older I get, the more difficult it is to shake a few beers the next morning. When it was available, I would occasional use Chaser and it seemed to do the trick. Now that Chaser has disappeared, RU-21 has become my go-to hangover helper. Use it as directed. For 3-4 beers I’ll take a dose when I began consuming and a dose when I’m done. I’d suggest if you drink anymore than that to take a dose while drinking. Disclaimer: Everybody is different. This stuff seems to help me. I cannot guarantee it will help you. I can only assume. I’m surprised – it seems to be effective. I’ve been to a couple holiday parties the past couple nights, three or four drinks each night. As I get older, that amount would make me feel pretty lousy the next day, mild headache and foggy most of the next day. But with these, I feel quite clear. I take the recommended two before and two after. Then I take an additional two before bed. I’ll report back after the holiday season! The RU-21 pill was developed by the KGB to protect Russky spooks from the perils of hangovers. But would this miracle drug work on , say, drunken magazine stuffers? There was only one way to find out.. The Verdict: RU-21 sort of works, if you’re smart enough to take the pills regularly and not drink fortified wine. I am pleasantly surprised by RU-21, it actually seems to live up to a lot of the hype surrounding it. While its not a magical cure-all, and the manufacturers don’t claim that it is, it is a pretty effective way to drastically lessen the effects of a hangover. It’s a lot more effective then some of the other hangover cure products on the market, giving slightly better results then PreToxx, in my opinion. As long as its available to you locally at a decent price, I’d definitely say RU-21 is worthy of trying out as an effective hangover cure! But stick to using this product after moderate drinking sessions, it is simply not a strong enough product to bring you back from the worst hangovers if you’ve drunk too much. 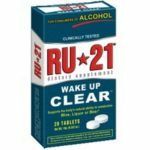 The Best price I’ve seen RU-21 for sale is $17.20 + $2.80 shipping from Amazon, that’s for 120 tablets, which I would guess should give you around 12-16 nights of drinking and hangover-free mornings. 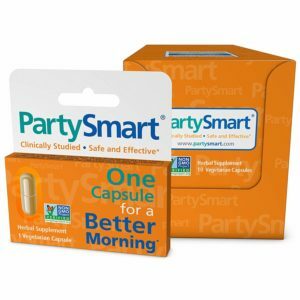 PartySmart Hangover Pills – Can it compete with the newer products on the market?